Home » What We're Eating » Dinner » The Best Stuffed Shells Recipe! 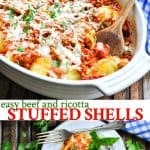 This easy dinner recipe for Stuffed Shells with beef and ricotta cheese is definitely a family favorite! The 5-star recipe has been featured in Taste of Home magazine, and you're about to see why! This easy dinner recipe for Stuffed Shells with beef and ricotta cheese is definitely a family favorite! The 5-star recipe has been featured in Taste of Home magazine, and you’re about to see why! 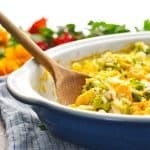 Does it get any cozier than a baked Italian casserole that’s full of simple, nourishing ingredients?! 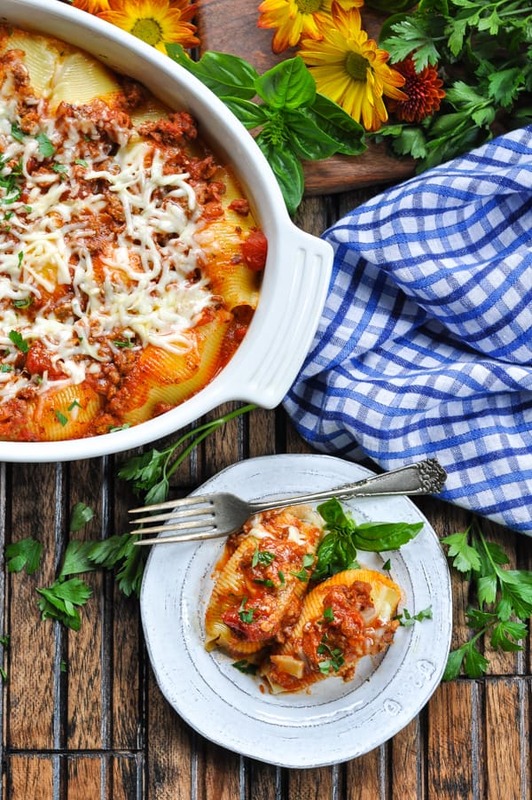 From kids to grandparents, everyone who tries this stuffed shells recipe loves it! 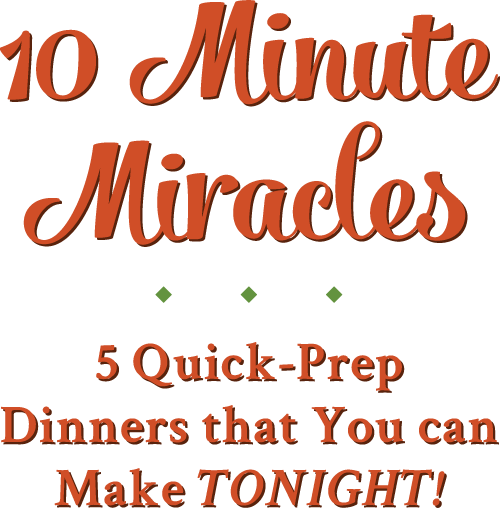 It can be assembled in advance and frozen or refrigerated until you’re ready to bake it. Talk about convenient! This recipe yields a large batch to serve 8, so it’s perfect for entertaining. If you’re feeding a smaller family, you can divide the stuffed shells between two smaller 8-inch baking dishes and freeze one for later. You get two meals with one effort. Love that! Just a 1/4 cup of pesto adds TONS of flavor to the ricotta and ground beef filling. No boring stuffed shells here! Are you convinced? 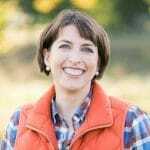 First, let’s address a few common questions before we get to the recipe. 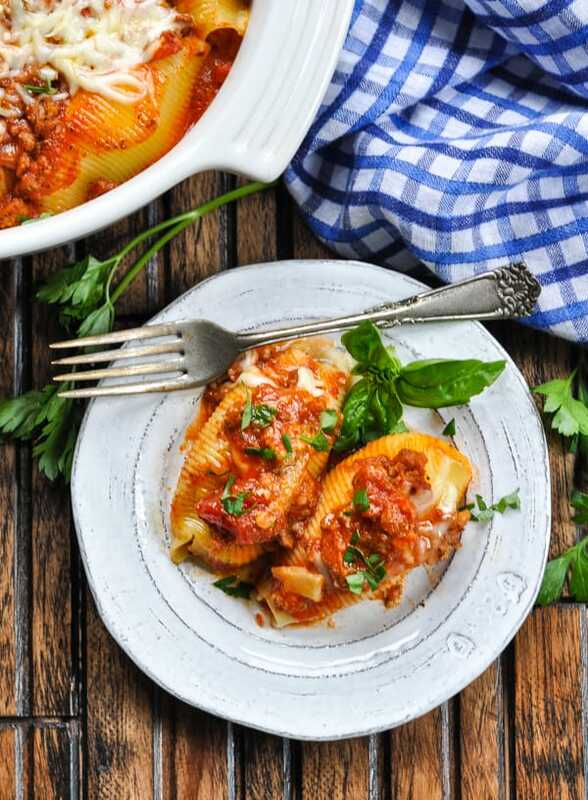 This Italian-inspired dish includes Jumbo Shells pasta, which have been stuffed with a variety of ingredients and baked with sauce and cheese in a casserole dish. 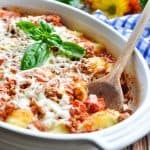 Beef and ricotta is a classic stuffed shells filling, but you might also find spinach and cheese stuffed shells or sausage and cheese stuffed shells. 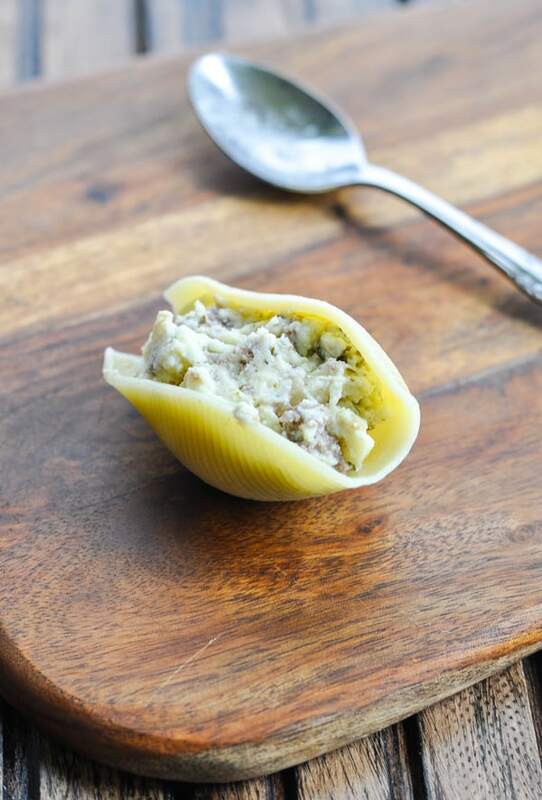 How do you make Stuffed Shells with Meat and Ricotta Cheese? While these stuffed shells require a couple more steps than my standard dump-and-bake recipes, I can assure you that they are well worth the few extra minutes in the kitchen. Plus, they’re very easy — if you can brown ground beef and cook some pasta, you can assemble this dish! Let’s start with the stuffed shells filling, which starts with cooked ground beef and onion. Once the beef has cooled slightly, combine half of the beef with ricotta cheese, shredded Italian blend cheese, Parmesan, pesto, and egg. 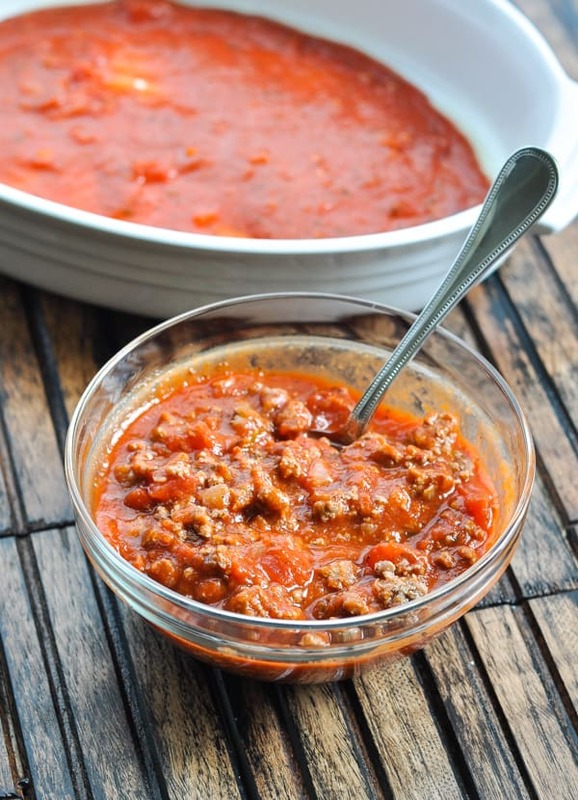 Spread 3/4 of a cup of marinara sauce in the bottom of a large baking dish, and combine the other half of your cooked meat with the remaining sauce. Set aside. Stuff the cooked pasta shells with the beef and ricotta filling. Top with the meat sauce and the rest of your Italian blend cheese. Cover the dish with foil and bake in a 350-degree oven for about 40 minutes, or until heated through. You’ll want to remove the foil cover during the final 5-10 minutes to allow the top of the casserole to brown slightly. 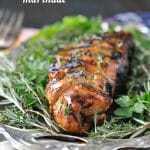 Garnish with fresh herbs, if you have them! I generally assume about 2-3 shells per person. Larger appetites might like 4, while smaller eaters may prefer 2. 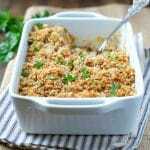 This recipe yields about 20 stuffed shells with a hearty meat sauce, and it typically feeds about 6-8 people. Can Stuffed Shells be Frozen? Yes!! 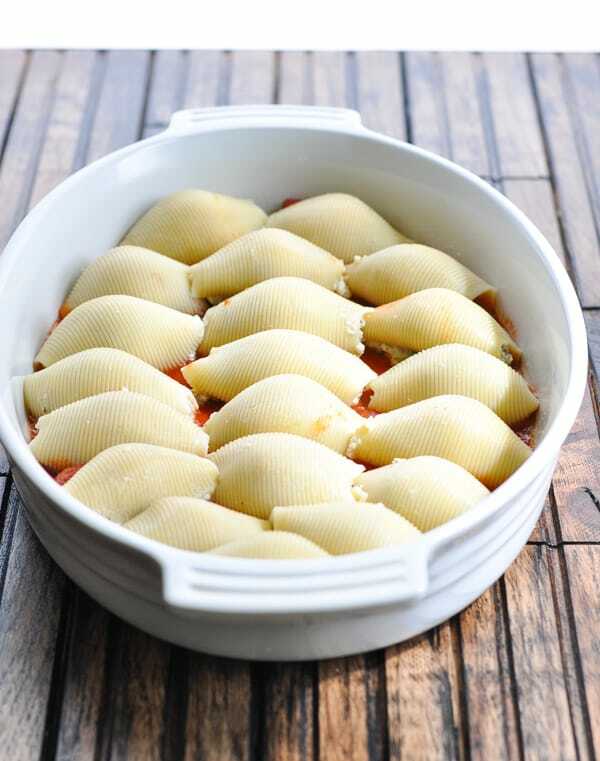 This stuffed shells pasta is the ultimate prep-ahead freezer meal! If you would like to make the casserole in advance, simply assemble the dish through Step 6. Do not bake the shells. Cover the dish with foil and either refrigerate for up to 24 hours; or, if freezing, cover tightly with plastic wrap, then foil. Keep in freezer for up to 3 months. 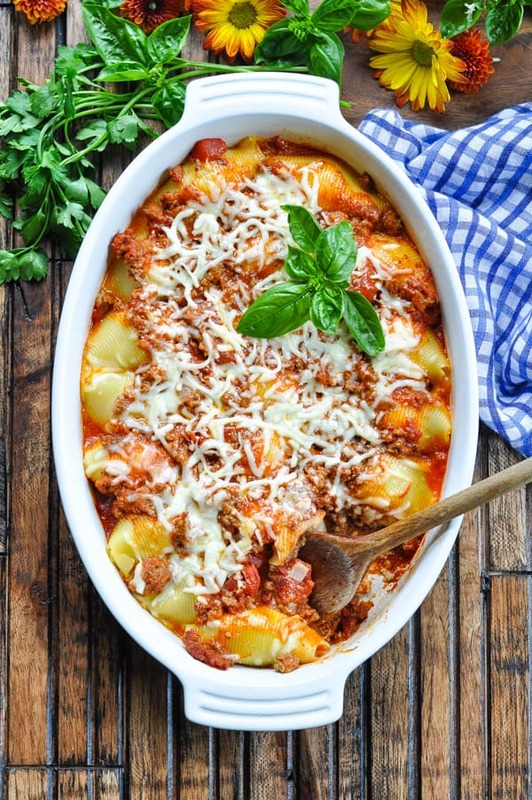 When ready to bake, you can either thaw the stuffed shells in the refrigerator overnight (and bake according to the recipe instructions); or you can bake the frozen casserole at 350 degrees for about 50-60 minutes (or until heated through). Don’t forget to remove the foil during the final 5-10 minutes of baking to allow the cheese to brown on top! These beef stuffed shells with pesto and ricotta are truly THE BEST stuffed shells recipe that you will ever taste — and they’re SO easy! I hope that you’ll share a dish with your friends and family soon! 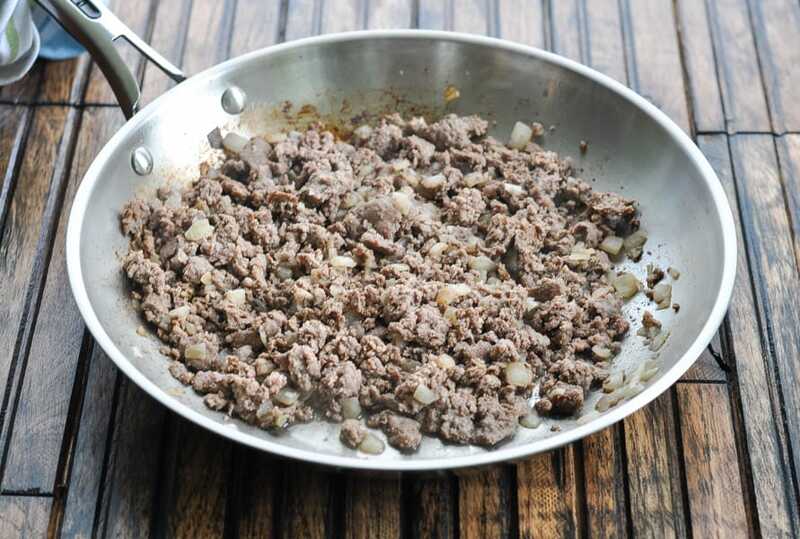 Brown ground beef and onion in a large skillet over medium-high heat. Allow beef to cool. 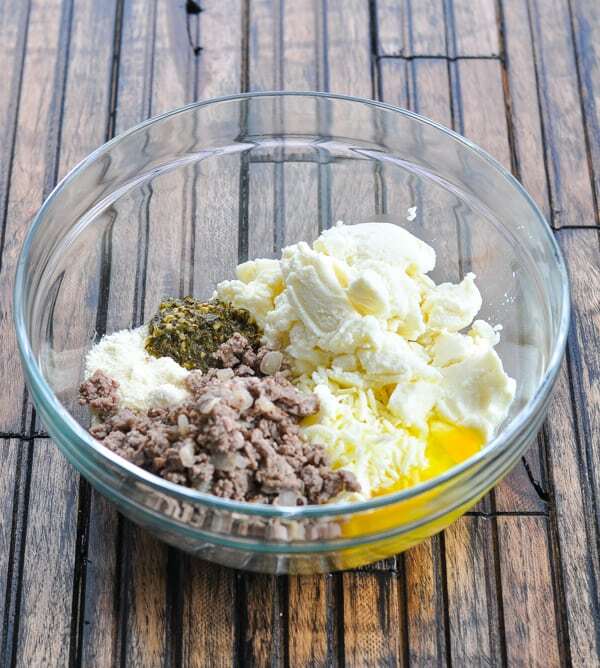 Combine 1.5 c. of the shredded Italian blend cheese, ricotta cheese, Parmesan cheese, egg, pesto and ½ of the beef in a large bowl. Place ¾ c. of the pasta sauce in the bottom of a 13x9 in baking dish. Combine the remaining beef and pasta sauce in a bowl; set aside. 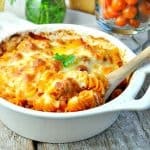 Fill the cooked, cooled shells with the beef and cheese mixture. Place the shells in the baking dish. Top the shells with the beef and sauce mixture. Sprinkle remaining ½ c. of Italian cheese over top. Cover with foil. Bake for 40 minutes or until heated through. Remove the foil cover during the final 5-10 minutes to allow the cheese on top to brown. *You will only need to use about half of the box of pasta shells (about 20 shells total); however, I recommend cooking the entire box because you will find that many of the shells break during the cooking process and will not be useable for stuffing. This recipe yields a large batch to serve 8, so it's perfect for entertaining. If you're feeding a smaller family, you can divide the stuffed shells between two smaller 8-inch baking dishes and freeze one for later. 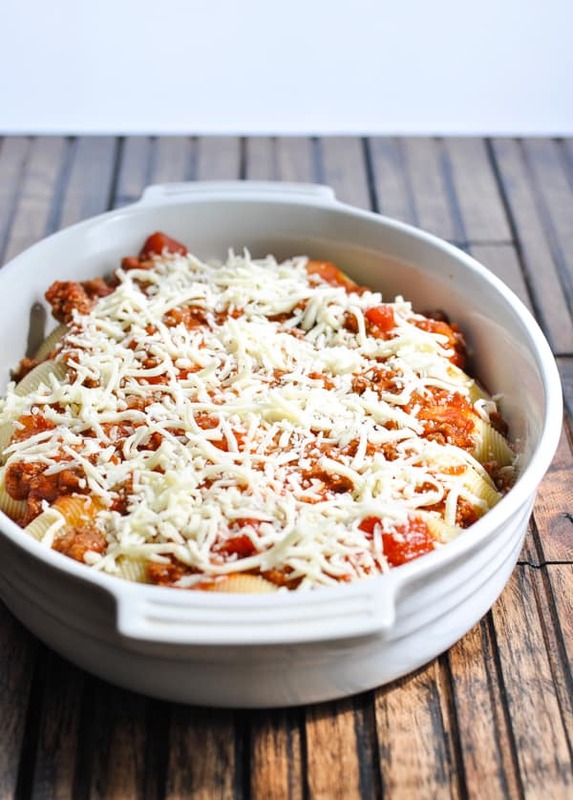 This stuffed shells pasta is the ultimate prep-ahead freezer meal! If you would like to make the casserole in advance, simply assemble the dish through Step 6. Do not bake the shells. Cover the dish with foil and either refrigerate for up to 24 hours; or, if freezing, cover tightly with plastic wrap, then foil. Keep in freezer for up to 3 months. 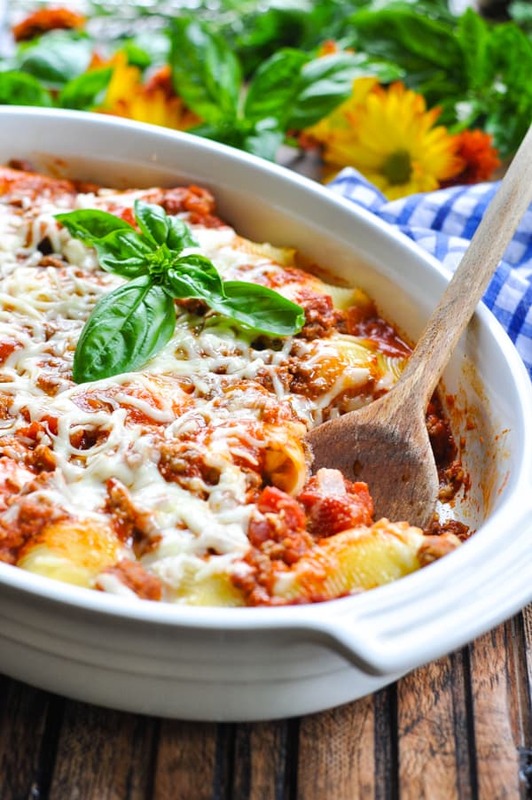 When ready to bake, you can either thaw the stuffed shells in the refrigerator overnight (and bake according to the recipe instructions); or you can bake the frozen casserole at 350 degrees for about 50-60 minutes (or until heated through). Don't forget to remove the foil during the final 5-10 minutes of baking to allow the cheese to brown on top! This post was originally published in December, 2013. It was updated in October, 2018. Could I replace the marinara sauce for tomato sauce? Sure! The tomato sauce just doesn’t have the seasoning that the marinara sauce has, so you might want to add some Italian herbs (like basil, oregano, etc.) or salt and pepper. Totally up to you and your taste preferences!